“[T]o say she’s running for ‘truth, justice, decency, equality, freedom, democracy’ when she weaponized the powers of law enforcement to attack my 1st Amendment civil rights as a citizen journalist at the bidding of her @PPact donors and backers,” he posted. 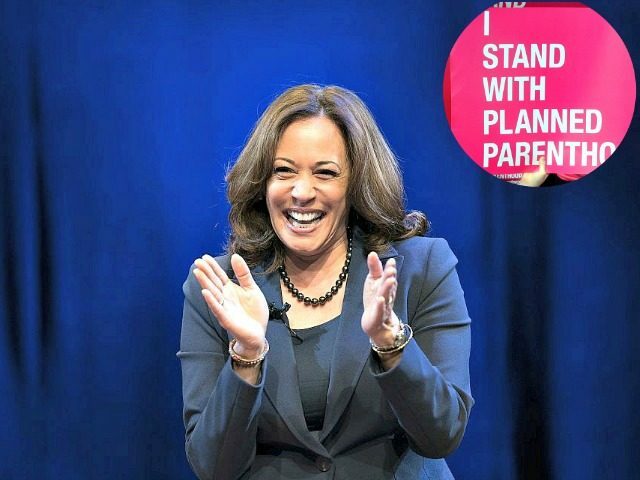 In 2016, when Harris was still California’s attorney general and a candidate for the U.S. Senate, pro-life millennial organization Students for Life of America (SFLA) held a “#KorruptKamala” event, during which they protested what they saw as Harris’s abuse of power. Harris had received thousands of dollars in contributions from Planned Parenthood for her re-election campaign – and then her Senate campaign – and subsequently her office seized Daleiden’s personal property. “I was proud to stand with the pro-life generation today and call for the resignation of California Attorney General Kamala Harris, a corrupt politician bought and paid for by Planned Parenthood and their allies,” said Kristan Hawkins, SFLA president, in a statement to Breitbart News at the time. “It wasn’t until AG Harris was called out in the media for her lack of urgency when it came to investigating David Daleiden that she sent a small army of agents to raid David’s one-bedroom apartment,” Hawkins said. A pro-abortion rights Los Angeles Times column by Robin Abcarian in March 2016 criticized Harris for dragging her feet on bringing Daleiden to justice. In September 2016, emails obtained by the Washington Times showed that Harris’s office collaborated with Planned Parenthood to produce legislation that targeted Daleiden. The emails, according to the Times, were accessed through a public records request, and revealed conversations between officials of Harris’s office and Planned Parenthood regarding legislation that would criminalize undercover journalists for publishing and distributing recordings of private communications with abortion providers. Habig later became deputy manager of Harris’ U.S. Senate campaign, the website of which featured a petition asking voters to support and protect Planned Parenthood’s federal funding. Harris holds a 100 percent voting record in favor of issues lobbied for by Planned Parenthood and NARAL, and a 0 percent record with the National Right to Life Committee and the California Pro-Life Council.